Frugal & Fabulous: FREE Hood Product & Coupons Giveaway! 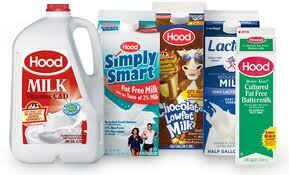 FREE Hood Product & Coupons Giveaway! Love Hood products? I know I do! Whenever I cut coupons I always make sure I clip Hood's so I can get a great deal on their cottage cheese, sour cream, half & half and of course, ice cream! (Remember when I bought 8 Hood Ice Creams at one store?!) So I'm giving you the chance to win a bunch of Hood coupons! One lucky Frugal & Fabulous reader will win a coupon for any free Hood Product (up to $4.99) and three $1/2 Hood product coupons! I love Hood ice cream! I eat it year round. I like their ice cream cups! Thanks for this giveaway! we drink a lot of milk!